Midtronics is an American company, founded in the 80s and a world leader in providing solutions for the maintenance of both stationary and starter batteries. The main Spanish companies in the telecommunications, electrical, data centers (DPCs), financial institutions and enjoy the benefits of incorporating solutions in the Midtronics battery maintenance plans, increasing the reliability of systems and electric backrest getting a dramatic operational savings. Conductance is the technological basis of all Midtronics products. 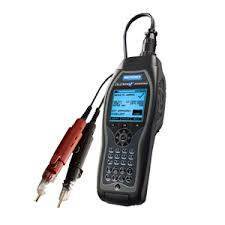 Among the solutions we find Midtronics portable analyzers and monitoring system. Based on conductance recommended by international organizations for their high reliability. Optimize preventive maintenance, fewer battery discharges. Identifies batteries shabby in a bench. Sector telecom, electrical, single and three phase UPS systems. 15 Seconds to take a measurement. Support for centralized management SW Celltraq. Conductance, temperature, voltage and current. SW Celltraq for alarm reporting.